In one sense, the scaled disclosure rules seem to have it backwards. The largest public companies, which must make the most disclosure, are the companies that we read about in the business press, that have their holdings by well-known institutional investors disclosed publicly, etc. In other words, these companies are already subject to plenty of scrutiny from participants in the investment world, and yet we also ask them to disclose everything that the SEC has ever thought to ask for. Meanwhile, smaller public companies, which are not discussed by third parties in public forums except for thoroughly unreliable sources like online message boards, are allowed to disclose less than their larger brethren. 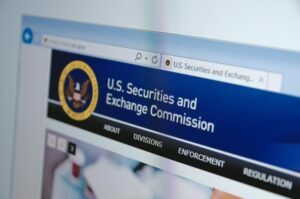 However, there is another consideration that explains the SEC’s thinking on scaled disclosure: If you consider a public company that has, say, a $50 million public float and negligible revenues, and you impose on that company the full set of disclosure requirements, which could mean millions in annual compliance costs, the company could reasonably determine that it’s not worth being public under those conditions. (And, similarly, smaller private companies could determine that it’s not worth going public.) Accordingly, the SEC allows relaxed disclosure for these companies, even though there is not much available outside reliable information about them. The investing public should, therefore, be wary about investing in these companies, unless they or their advisors are knowledgeable about the particular companies and their industries.